There are about 5 miles of trail around Portsmouth Mine lake, some not even on current maps, S of lake. Trails here are modest in difficulty, even Man High is approachable, with one big climb and some flowy downhill. There are some good vistas from the trail and Man high Hill. 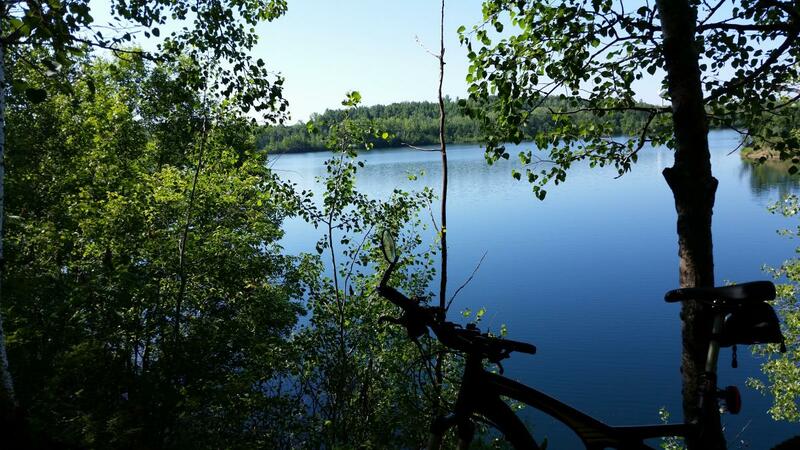 Review: Well maintained and fun to ride section of Cuyuna Lakes trail system. 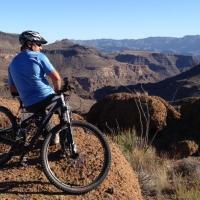 Climbs are moderate and downhills are blast to ride. Portsmouth unit/Dragline/Man High Hill MTB Trail 5.00 out of 5 based on 1 ratings. 1 user reviews.